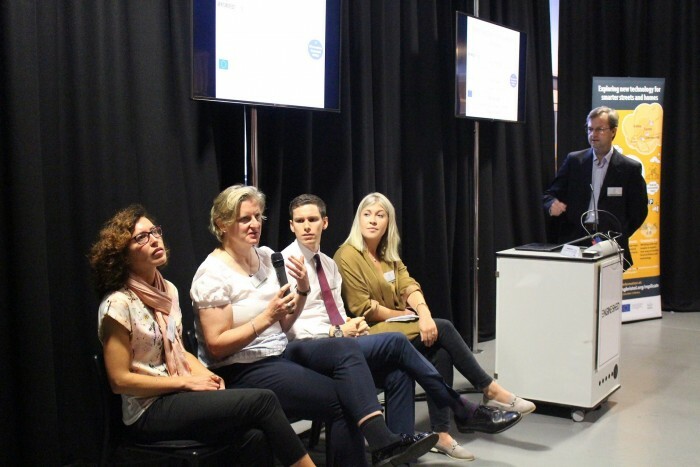 As part of the Venturefest Bristol and Bath 2017 programme, we recently held an event about The REPLICATE project – ‘Towards Bristol’s first Smart City district’. At the event, project partners introduced the main themes of our project: Smart Homes, Smart Streets and Created by Us. We gave more details about some of our energy efficiency and warmer homes measures, the new ways of getting around we will be exploring in the project and how we’re working with local residents in creative ways. We would like to extend a huge thank you to Venturefest Bristol and Bath organiser and so Engine Shed for hosting us and for their support in organising and promoting the event. If you were unable to attend this event you can find out more in our FAQs, by signing up for our e-bulletin , or by joining us at our next event. On the 17th of October, we will be at The Watershed as part of the finale event of the Venturefest 2017 programme. Come along to learn more about The REPLICATE project and the great range of talks and networking opportunities Venturefest has organised.